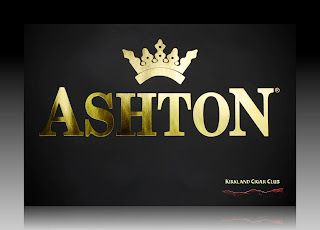 I was invited by my friend Josh (El Jefe de la Lit) to an Ashton cigar tasting seminar up at the Lit Cigar Lounge Wednesday night. Brutal traffic getting out of Seattle, plus the added bonus of torrential rain mixed with snow, an exceptionally pleasing trip. Typical weather for the end of April right? Anyway, I wasn't about to miss this event, so after an hour of being on the road, I finally arrive at the casino. My Better-half couldn't make it this time, so no need for valet parking. I drove around back and parked in the garage. Simple. 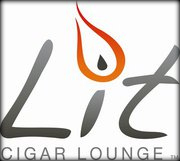 Up at the Lit Lounge I was greeted by Josh, who checked me in and showed me a few selections of cigars to choose from for the evening tasting: Mild, Medium and Full-bodied. He also handed me a gift-box that contained a beautiful black Ashton ashtray, compliments of Ashton Team. (NEAT-O) Anyway, I chose the bag of medium-bodied cigars since I had not ate dinner yet. Wise choice. I looked around the room and spotted one of the few remaining chairs. Place was packed for a Wednesday night. 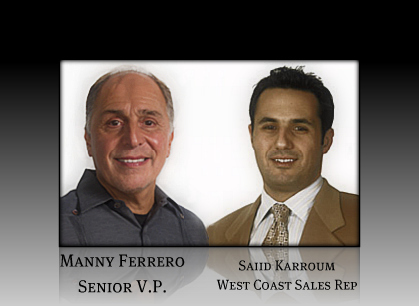 Manny was the one who would give the lecture tonight. You know, I thought I knew a little bit about cigars, but compared to Manny I know squat! Seriously! Manny is a pretty cool guy, sharp dresser, articulate, and knows how to work a crowd, especially a group like ours. He gave an excellent presentation on the finer points of producing an Ashton cigar. He also explained how the pairing of different drinks affects the taste of what we like to smoke. Anyway, after two very good cigars, I had to call it a night - school night you know! I would however buy two handfuls of a variety of Ashton cigars, so needless to say I'll be reviewing a lot of these in the next few weeks. I'm looking forward to it! My thanks to Josh and the Lit for inviting me to the event and to Manny and Saiid for a superb evening of cigars. Good job guys! Side note: Thanks for the 20% discount Josh! Toraño Cigar Rolling Event featuring Felipe Sosa! As always, we will be sampling fine adult beverages too! General information and ticket sales can be found on their website. Check it out! Join us for our next Tuesday Night Cigar Club on April 26th as we feature Bulleit Bourbon and Rocky Patel cigars and celebrate the return of a familiar face to Tuesday Nights. As always, there will be drink and cigar specials, appetizers and prizes. The party starts at 6pm. New in our humidor: Casa de Fernandez Aganorsa Leaf and Arsenio, two bold, spicy and complex blends from the manufacturers of some of your favorite cigars, such as Illusione and Alec Bradley. Also, by popular demand, we've brought in the El Rico Habano Double Corona, another great cigar from Ernesto Perez-Carrillo. Try one next time you're in. 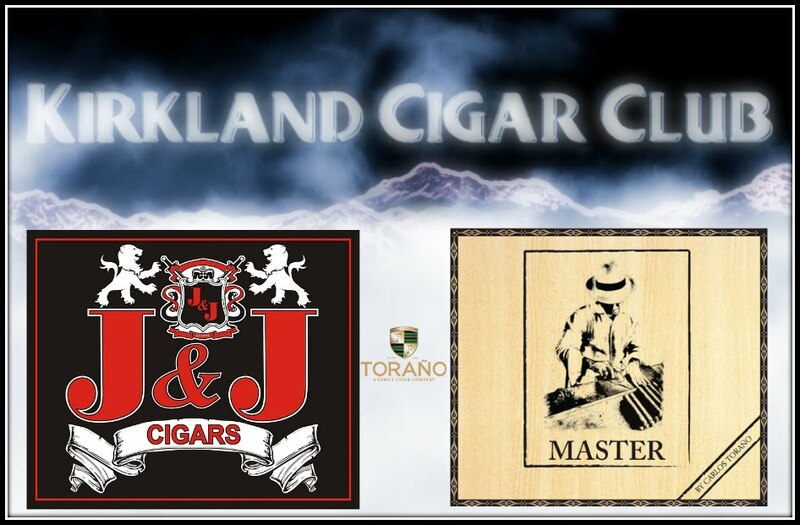 Because of the overwhelming success of our Tuesday Night Cigar Club event, we've decided to hold one Tuesday night event per month in the Sno Lounge so that we can accomodate more people and do some new exciting things. Our first "big" Tuesday Night Cigar Club in Sno Lounge will be a Fiesta de Mayo event on May 3 from 5-8pm, featuring Victoria beer, El Jimador Tequila and A. Turrent Triple Play cigars. Oh, we'll have live Mariachi music! As with our usual Tuesday events in Lit, admission is free, we'll have appetizers, drink and cigar specials as well as plenty of prizes to give away. If you've been staying away from our Tuesday nights because the room gets too crowded, then this is a great time to come back! Click on the image to the right to see the event flyer. A couple of weeks back I smoked a Punch Rare Corojo cigar up at the Lit Lounge - you might recall that my lovely wife picked this one out for me, she thought it was the"prettiest" cigar in the humidor. :) Anyway, it turned out to be a pretty damn good smoke, and seriously, I've never been a fan of Punch cigars! Anyway, this was really a superior smoke. If you see one - buy it! Saturday night we were down at the Patch, well I should say that "I" was down at the Patch. My better-half was there for a while, but decided it was too damn cold and went home. She told me that she'd pick me up when I was ready to go. Wow, that was nice! Berger and Argenti Clasico - my friend Chris gave me this cigar a couple of weeks ago when we were down at JnJ Cigars. Not a bad smoke, but it had a little wrapper issue.I can honestly say that it wasn't half as good as the Punch. Maybe Chris will give me another one to try just to confirm my thoughts? Murcielago - EO Brands - Now this one I liked. Box pressed, dark wrapper, great feel, but more importantly it was a delicious smoke. Smooth, rich taste, great draw, and loads of smoke, not as good as the Punch, but definitely worth trying! Side note: Thanks for saving me that cigar Josh, and for finding us a nice place to sit on Friday night. Your hospitality is greatly appreciated my friend! Looking forward to the 27th! Our Thursday Night Cigar Wars blind tasting event is really taking off. Last week, we had a great turnout as you rated the Murcielago belicoso an 88. Join us this and every Thursday to enjoy a cigar and your choice of well drink or draft beer for only $10! Make sure to like us on Facebook or follow us on Twitter to stay on top of all of the happenings at Lit! I'll share many of the cool cigar related things I don't have space to put on here, such as this awesome video of Pepin's farm in Nicaragua. As with our usual Tuesday events in Lit, admission is free, we'll have appetizers, drink and cigar specials as well as plenty of prizes to give away. If you've been staying away from our Tuesday nights because the room gets too crowded, then this is a great time to come back! Here is an all Maduro cigar featuring leaves from four countries! A. Turrent Triple Play are medium-to-full bodied cigars which feature Mexican Maduro wrappers, Conneticut Broadleaf Maduro binder leaves and a stout filler blend of Honduran, Mexican & Nicaraguan tobaccos. All of it Maduro! These platinum banded black beauties have received Cigar Aficionado ratings from 88 to 93 and have also been named one of the Top 25 Cigar of the Year! If you like your cigars dark and fuller bodied, Triple Play is a cigar for you. The Turrent family of Mexico has long made cigars in the San Andres Valley, typically using its homegrown tobaccos. Recently the company has expanded its portfolio, exporting its tobacco leaves, working with blenders from other factories and creating new cigars made from a variety of types of tobaccos. 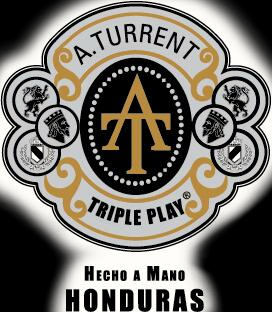 The A. Turrent Triple Play Belicoso is made with a combination of Maduro tobaccos from Mexico, Honduras and Connecticut, and the resulting mix (which involves blending several vintages) is sublime. The Triple Play Belicoso smacks of espresso bean and cedar, and is one of the best cigars to bear the Turrent name that we have ever smoked. 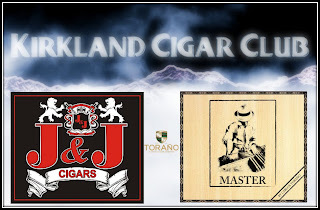 Our good friend Steve Martin of Altadis will be here for this event to answer all your questions about A. Turrent Triple Play cigars as well as our extensive selection of Altadis brands. Steve will have a Buy-3-Get-1-Free deal running on A. Turrent Triple Play. For every 3 A. Turrent Triple Play you buy, Steve will give you another one FREE! Buy a box of A. Turrent Triple Play and Steve will give you your choice of free goods. 4 FREE cigars + your choice of a Montecristo Signature Cutter or Triple Flame Lighter. We hope that you and your friends will join us for this tasting at Rain City Cigar. 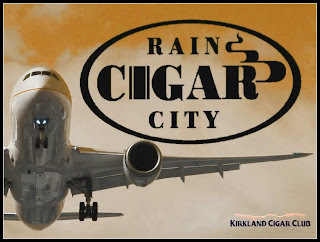 In the event of inclement weather, or excessive sun, the Rain City Cigar "25 Foot Cigar Lounge" will be open so that you can enjoy your cigars in comfort. I had to sand and paint one of my decks on Saturday, would have been a breeze but the drum-sander I rented didn't work worth-a-crap, basically tore-up $40 worth of sandpaper. Anyway, I needed to get this done rather quickly, mainly because it was one of those rare occasions when "not raining" and "Saturday" both came together simultaneously, but more importantly, J and J Cigars was having an event that started at 1 o'clock! My lovely wife and I worked our butts-off, didn't finish the deck until late in the afternoon. I wasn't sure if it would be worth going all the way into Seattle or not, plus the event was supposed to get over at 6 PM. "Oh, what-the-hell. Let's go for it!" To tell you the truth I've never been to an event at J and J Cigars. I've been to his store quite a few times and I've even been to his place on the day of an event, but never have I seen what a great job they do for these occasions. I think the key is that John knows how to "get the word out". I was thinking maybe 10 people max would still be there when we arrived, but I it was closer to 20-30, and surprisingly I recognized a whole bunch of them! Amazing cigar community here! Anyway, it was cool meeting Erik Espinoza with EO Brands (Espinoza y Ortega) - He was super nice to everyone, real social guy, plus he's what I would call an extremely cool dude - you'll know what I mean when you see him. What he really has going for him are his cigars. I tried the 601 Green label and the 601 Box-pressed Blue label Maduro, both are phenomenally good smokes! You'd think a weenie like me would probably pass out from these big-boys, but believe me these are some of the smoothest, full flavored, rich tasting smokes you'll find. I totally loved them, and NO, I didn't have to lay down afterwards. Would I buy one of these again? Hell yes! Just a note, the Maduro starts out peppery, but smooths out quickly. You'll love it! Trust me! Herman, Sir Godfather, always a pleasure talking to you. Thanks for bringing me up to date on what's been going on, plus all the pointers on Vegas. I'm definitely going to name-drop when I'm there next month. Chris and Dan, good talking to guys, and Chris thanks for the cigar - I'll smoke it this weekend. I'm also looking forward to that review. Big Bill - good seeing you again. When am I going to try your special blend coffee again? Till next time - Take care! 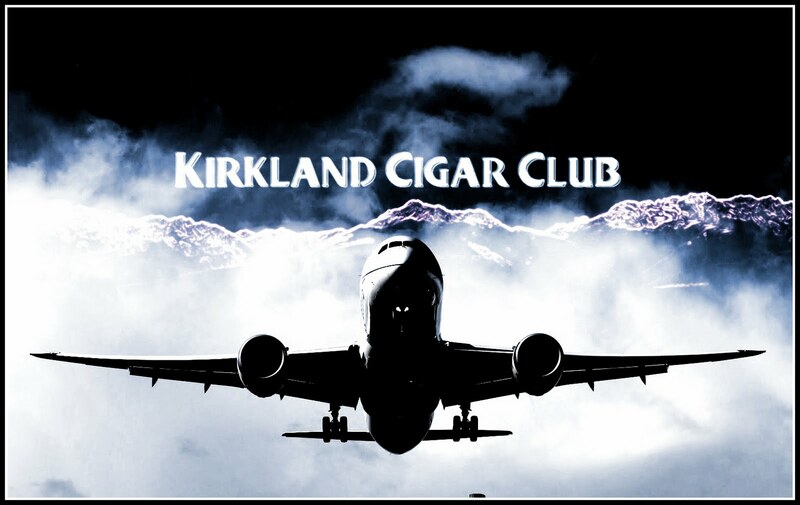 Our next Tuesday Night Cigar Club event will be on April 12. We will be joined by tequila ambassador Stephanie Raines as we feature Don Julio tequila and Punch Rare Corojo cigars. We also have a very limited edition 10th Anniversary Rare Corojo cigar that will not be available any other time - definitely worth checking out! The event starts at 6 p.m and as always we'll have plenty of prizes, food and fun! Every Thursday, come take part in our blind tasting experience, Cigar Wars, where we smoke and rate cigars to determine what you think are the best cigars in the humidor. It's a lot of fun, and more importantly a great deal. Get a cigar along with a draft beer or well drink for only $10. 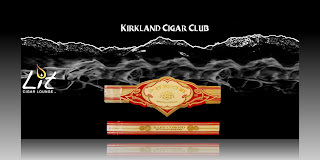 Last week, we featured the Trinidad Habana Reserve Robusto and you rated it an 89. 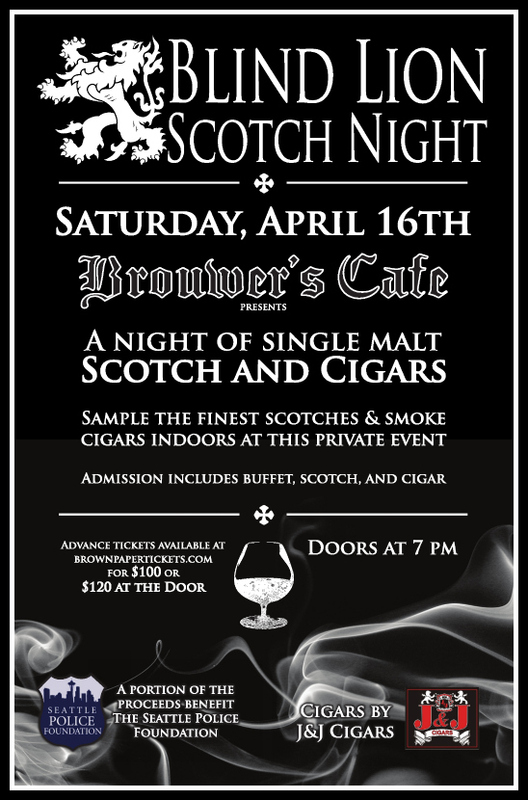 Our friends at Brouwer's Cafe are hosting a charity cigar and scotch event to benefit the Seattle Police Foundation. More info can be found here. Our first "big" Tuesday Night Cigar Club in Sno Lounge will be a Fiesta de Mayo event on May 3 from 5-8pm, featuring Victoria beer, El Jimador Tequila and A. Turrent Triple Play cigars. My lovely wife picked this cigar out for me on Friday night while we were up at the casino. I asked her why this one? She said it was the "prettiest" cigar she saw. Serious? I was thinking maybe the TTT Trinidad, but this is a Punch cigar, not a real big fan of this brand. My wife is rarely wrong, or at least that's what she tells me. So I took my pretty Punch cigar over to the cash register and had them prep it for me. BTW, where was Josh on Friday night? So what did I think? I loved it! No kidding! I smoked that baby down to the nub. My wife picked a winner, that's for sure! Medium taste, maybe a little stronger than my normal smoke, but consistently smooth throughout, and volumes of rich smoke - tons of smoke. I thoroughly enjoyed it. Definitely going to pick up a few more of these! I've got my humidor issue fixed - perfect RH now. Those Bóveda Humidipaks work GREAT! How can you tell when it's Springtime in Seattle? 601 Cigar Event with Eric Espinoza! 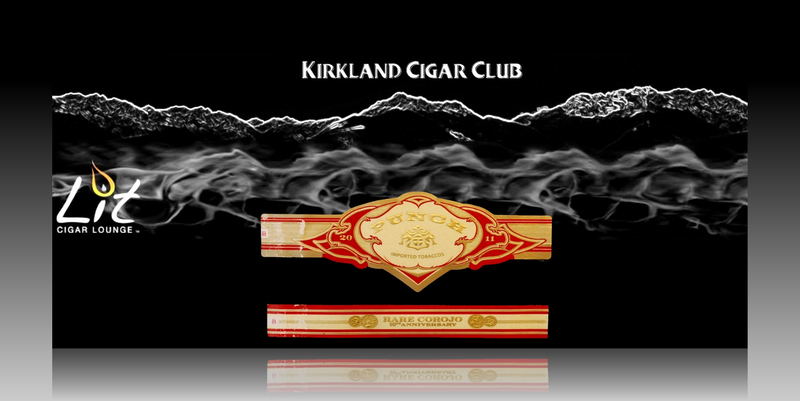 These cigars are one of the highest rated cigars in our industry. 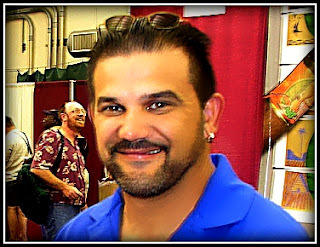 Eric Espinoza is the founder of highly regarded cigars such as 601, Cubao and Murcielgo brands. 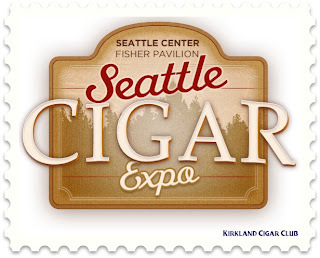 Come and meet the man and smoke his finest cigars! The specials are buy 3 get additional 1 free. Buy a box get additional 5 free and a great looking T-shirt, on top of the 10% discount! Come down and let us smoke the winter blues away! As always, we will sample adult beverages as well! 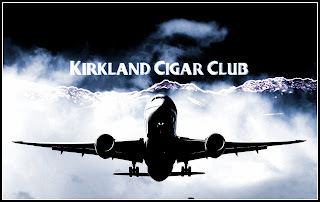 Our next Tuesday Night Cigar Club event will be on April 5. We'll be joined by Don Hanes of Alec Bradley as we feature their fantastic cigars incuding some very highly rated sticks such as the Tempus and Family Blend. 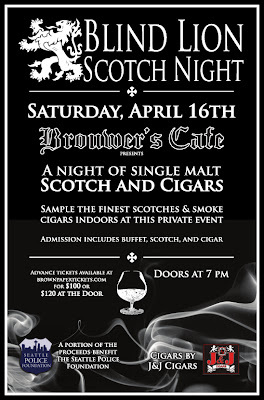 We'll also be featuring Famous Grouse scotch whiskey and will have appetizers, deals and prizes galore. The party starts at 6pm. We'll see you there! Every Thursday, come take part in our blind tasting experience, Cigar Wars, where we smoke and rate cigars to determine what you think are the best cigars in the humidor. It's a lot of fun, and more importantly a great deal. Get a cigar along with a draft beer or well drink for only $10. Last week, you crowned a new champion! The Don Pepin Garcia Cuban Classic Toro earned a 93 rating! We're excited to announce that we are now represented on Facebook and Twitter. Click here to like us on Facebook and here to follow us on Twitter to be the first to know about special events, offers and new items at Lit. We'll also be updating our page with event photos and interesting stories that pertain to fine cigars and spirits.